In an effort to keep busy, I’ll be doing ‘self promotional art’ during the slow summer periods between jobs. Today is a portrait of our President as Patch Adams. Today I completed the ‘Car Coloring Book’ project for Dover with a trio of color plates of some of the interior pages for usage on the cover. I’ll be sharing more samples from this book after it is published. In the meantime, a happy 4th of July to everyone, and I’ll have some older samples (from previous coloring books) to share next week. Still working on the Car coloring book for Dover (about 5 from the finish line at this point), and have been working on the design of the interior of my band’s CD packaging in the afternoons. 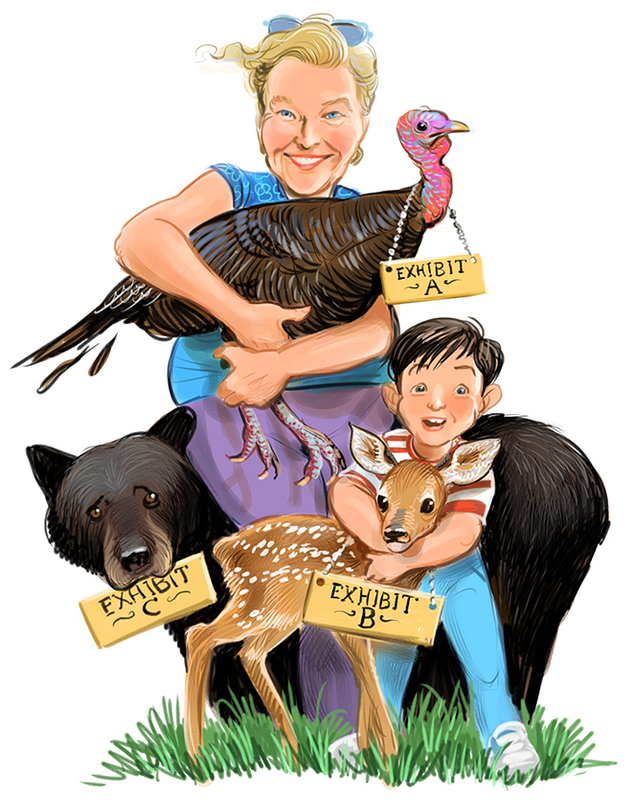 Today I had a short turnaround piece for Hudson Valley magazine (pictured above). More samples later in the week.